If You Can Think of It – It’s About to Happen. 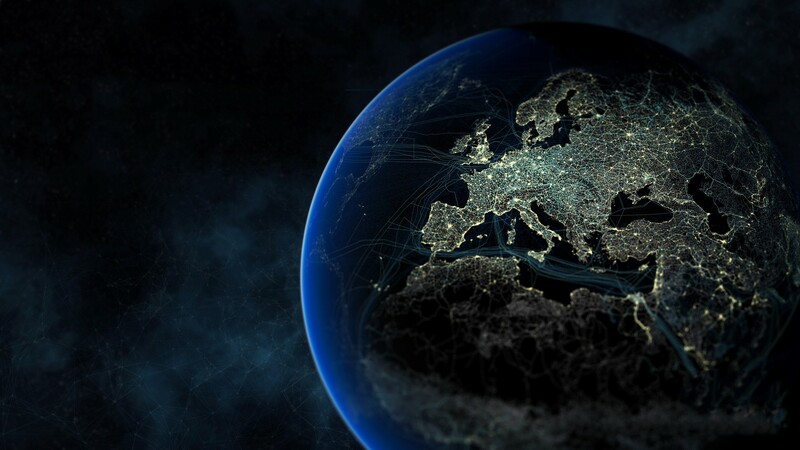 In the not-so-distant future, everyone and everything in the world will be connected to the Internet. This phenomenon is already in its early stages – and is known as the “Internet of Things” (Kevin Ashton, 2009). There are approximately 2 billion people using the Internet right now, however the Internet contains a larger number of data. Our ability to produce information has far exceeded our ability to control it. We know that the Internet has extreme potential, now it’s just a matter of developing an effective way to harness it. Technologist John Barrett states “Every major global government, and every major economic block, is investing heavily in the IoT”. Since the emergence of the Internet, we’ve recognised a unique sense of harmony to the dimensions of life. Now, by accessing real-time data of the way systems are interacting, we can better understand global dynamics and thus make more intelligent decisions. From space, the world is visible as a neural network with cities as nodes, a literal image that we are a system of systems. We can see it, hear it, and capture it – the world has virtually developed a central nervous system, it is early days but the planet is speaking to us. Ongoing accessibility and innovations make for a very efficient society, and with the matrixing of services we will generate more resilient systems. The Internet of Things cannot be simply explained, so I recommend watching this lecture by Dr. John Barrett. Barrett describes the Internet as a digital cloud or universe, 4000 Exabyte’s in size (whoa). All of our lives are about to change – by merging the physical world to the Internet. We will be able to control and communicate with everything from anywhere – goods, objects, machines, appliances, buildings, vehicles, animals, plants, soil and even humans will become a part of the IoT (we kind of already are). The possibilities are only restricted by our imagination… so buckle your seat belts, hold your horses, and put down your Smartphones. Actually pick them back up, because soon you will be able to point your device at anything or anyone and learn as much as you can about it through embedded circuits. Barrett quotes, “Facebook will look like a minor event”. So if you were concerned about privacy issues on social media… think again. One major concern regarding the IoT is the devalued notion of privacy. Google has the potential to become a real life search engine as everything will be tagged, locatable, and can give us information about itself and its surrounding environment (via RFID – Radio Frequency Identification). Another major concern is if everything in the world is connected, issues of terrorism and hacking will be magnified. The IoT will be extremely vulnerable, creating immense opportunities for the security software industry. This may seem frightening and preposterous, but it is a reality. Pre-schoolers are now learning on iPads – young children brought into this technologically dependent world will embrace the IoT effortlessly. However, I think it will take us (gen X & Y) some time to get used to. 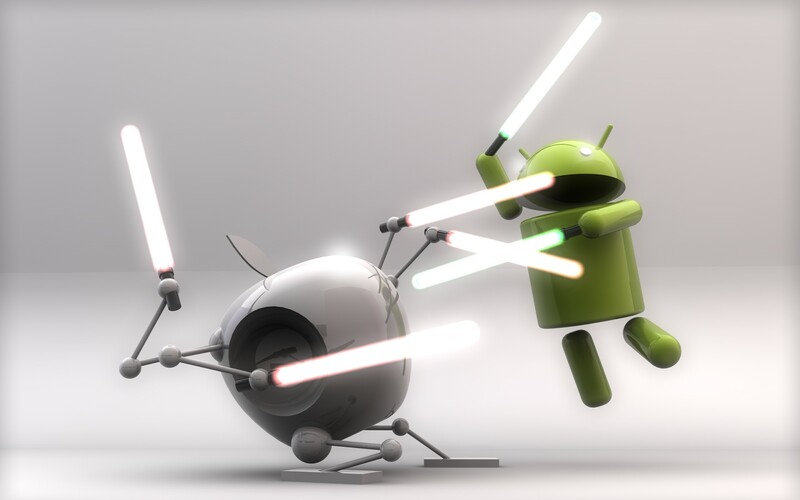 Apple & Android: Different Ideas, Great Success. The two hottest Smartphone’s on the market: Android & iPhone, with the battle of locked vs. generative appliances coming into play. Both successful in appealing to different tastes, however there has been much debate over one being better than the other. Ultimately, I feel it comes down to personal choice. If you’re a tech-wiz, or simply enjoy being able to fiddle with every minute feature on your phone, the Android is an appropriate choice for you. The Android allows you to take control and responsibility over the usage choices you make (via rooting) whereas the iPhone is a ‘sterile’ or closed/locked device. The Internet revolution challenged copyright laws, with users freely downloading music, applications, images and software (pretty much anything) – being impossible to manage. Apple attempts to prevent illegal activity used on the iPhone by controlling it as a locked appliance. Therefore a newly purchased iPhone comes tethered to Apple’s desires. To ensure this, Apple has created relative programs to use in conjunction with the iPhone, such as the iTunes store and a walled garden of applications (App store). This means that Apple have complete control over the platform, user and content. It’s also a bonus for Apple, as they receive a 30 per cent profit of everything sold in their App store, which holds almost one million applications. Some would argue that not providing the user with complete control is a negative, however the set features Apple provides seem to please a bulk of the Smartphone market. In addition, not everybody cares about the fiddly elements of their phone and prefer the simple layout Apple provides. The Android is an example of a generative and free platform, with an open garden of applications. Considering these two different devices, there has been much debate over which is better to use or preferred by consumers. The ideologies are completely opposite as Apple states that locking the options for audiences is for their own good, whereas the Android market believes users take responsibility for their free choices. Nevertheless, it is possible for iPhone users to “jailbreak” or gain ‘root’ access to the code, which allows complete control over the hardware and software. The Arab Spring is a term expressing the revolutionary movements in 2010, which began in the Arab region. What made the Arab Spring so unique was the utilisation of social media to establish and promote uprising agendas, as these were the first collective movements in the Middle East since Internet and social media revolutions. A journal article by Richard Lindsey explores the significance of social media during the Arab Spring, allowing individuals to influence public opinion and gain international support through the global distribution of news. Lindsey assures that techniques and procedures via social media will affect future revolutionary tactics in globalised societies, however the degree to which is questionable. Sharing mass amounts of uncensored and accurate information through social networking significantly prompted the rise in Arab Spring activists. Not only did they obtain supremacy to overthrow powerful dictatorship, but also Arab civilians were now conscious of underground communities whom they can connect with. 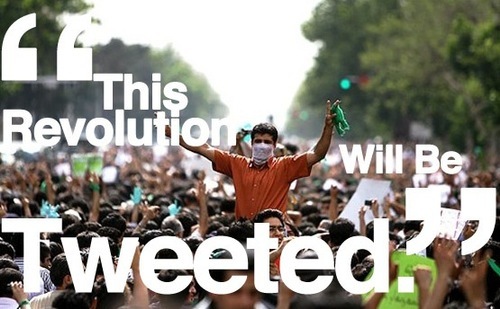 This may have not been possible without the significant role social media played, “We use Facebook to schedule the protests… Twitter to coordinate, and YouTube to tell the world.” – Arab Spring activist from Egypt. Stories of shared grievances and hopelessness was overflowing over these networks. The use of digital storytelling through social media is what drew people into the streets to protest. A blog post on PolicyMic describes the use of social networks as assisting to remove the psychological barrier of fear for Arab civilians by connecting and sharing information. The consistent flow of news provided a sense of reassurance that they are not alone, and that there are others experiencing hardship, prejudice, and similar accounts of brutality. Professor of mass communications from Cairo, Hussein Amin, stated that social networks “for the first time provided activists with an opportunity to quickly disseminate information while bypassing government restrictions”. It is worthy to note that new social networking platforms were not the reason for the Arab Spring but function in serving future revolutions with regard to communication.